See the point of a smartwatch, but don’t want to give up your current watch? 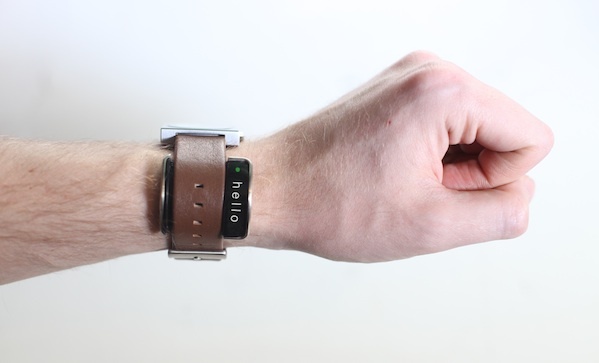 No problem—pick up glance ($80), now on Kickstarter. It fits under the band of your existing watch, thus leaving your sartorial decisions up to you. It shows you who’s calling, lets you read incoming messages, vibrates with a call, acts as a gesture controller for your TV or computer, and works as an activity tracker. Basically, you’d almost be a cyborg.